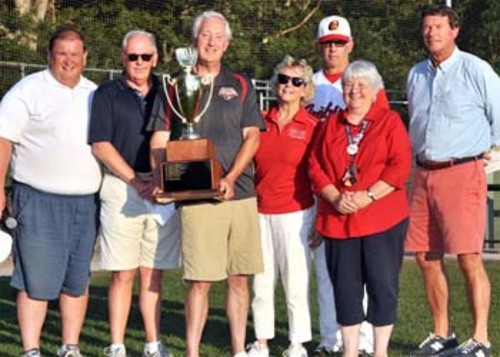 For their efforts, the Firebirds captured the 2015 East Division regular-season title and were awarded the President’s Trophy, which has been given annually since 2012 to the team with the most regular-season points. Orleans finished with 63 points in a landslide, as the next best total was 49 points (Brewster and Hyannis). “I'm just super proud of our guys and our coaching staff,” said Firebirds field manager Kelly Nicholson, who was selected 2015 Manager of the Year. “We have terrific assistant coaches who are tireless and selfless workers who deserve just as much credit as anyone. I'm very proud but by no means satisfied. 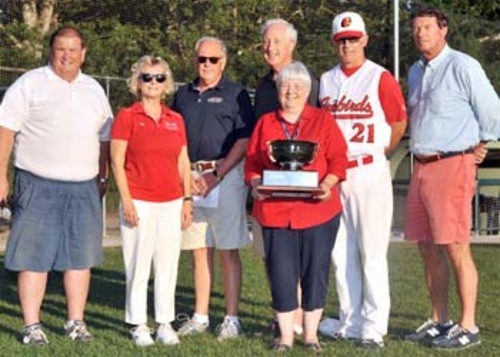 The Firebirds led a number of offensive and defensive categories, according to final regular-season statistics for the Cape Cod Baseball League. Bobby Dalbec (Arizona) finished a Cape League best with home runs (11) and was second in RBIs with 27. Mitchell Jordan (Stetson) capped the regular season with a CCBL-best ERA of 0.21 and had the second highest number of wins at 6-0. Lastly, Eric Lauer (Kent State) racked up a league-high 50 strikeouts on the mound. “I don't think we expected to win the division,” Nicholson said. “It's a tough league and is so challenging that you kind of have to expect to just keep your head above water and at the end of the day to be in a good position in the division.